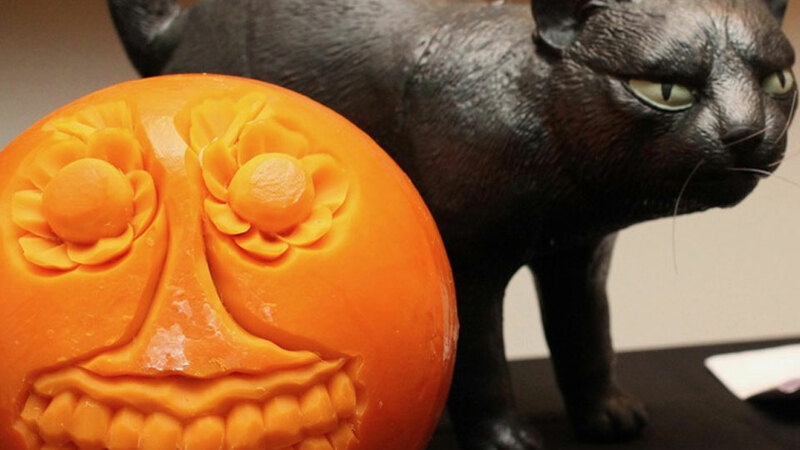 WHAT DO YOU GET when you marry the elevated art of Mimolette carving with the festive Halloween spirit? Beautiful and spooky sculptures, of course. 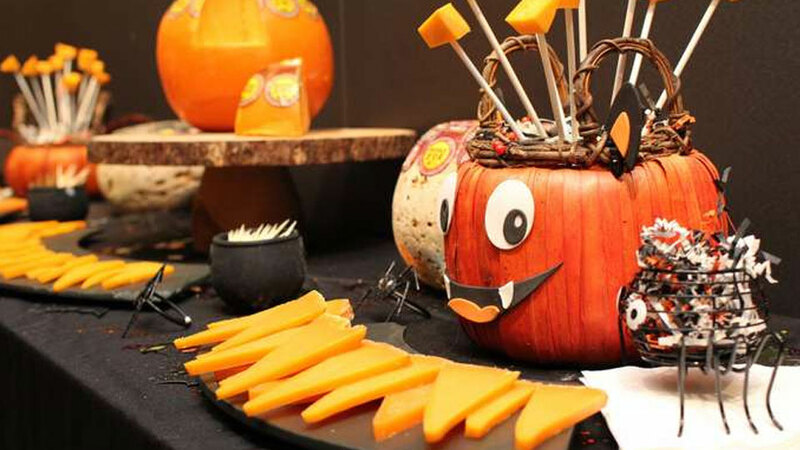 Mimolette, a traditional pumpkin-colored French cheese, was recently featured at a four-day pop-up shop hosted by The Cheeses of Europe at The French Cheese Board in Manhattanâ€™s Soho, giving a flavorful spin to this annual carving ritual. 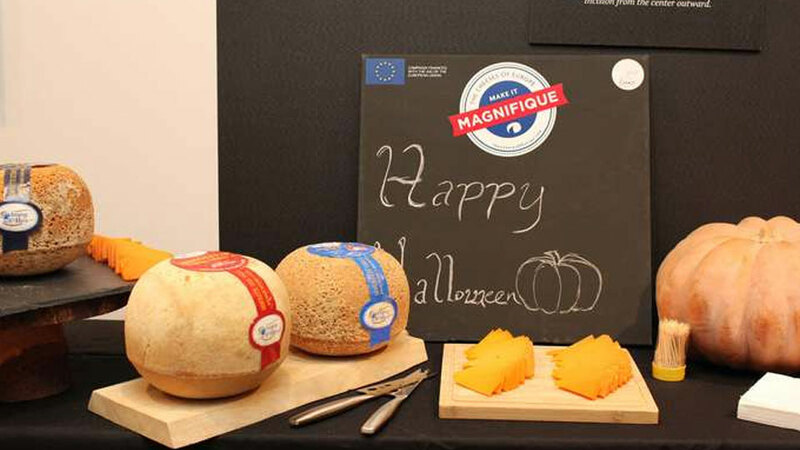 More than 2,000 people experienced the spookiness of Mimolette during the pop-up. 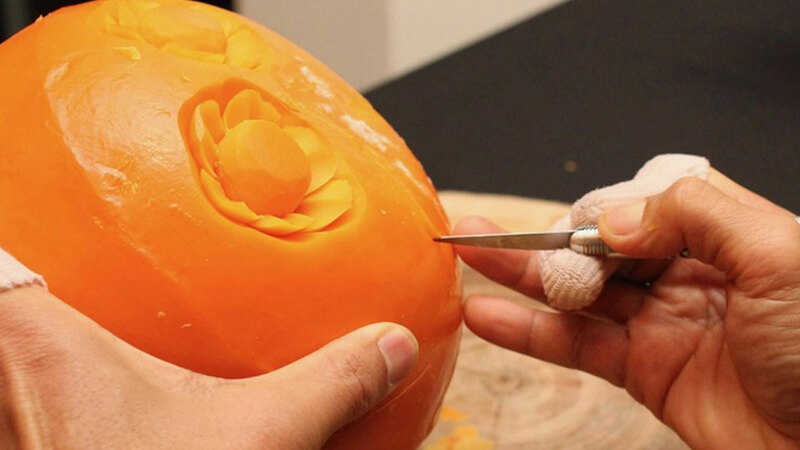 Krai, a renowned master carver trained in traditional Thai fruit-carving techniques, sliced the Mimolette into intricate floral and jack-oâ€™-lantern designs. Kraiâ€™s gift for the craft is such that he has even presented his creations to Thailandâ€™s royal family; he later made his way to France to ply his skills at cheese carving. A press preview offered a sneak peek at this Halloween affair, featuring aged Mimolette for guests to sample, as well as mouthwatering hors dâ€™oeuvres including a slightly sweet, slightly salty baked Mimolette thimble filled with a rich, luscious fig preserve, a sliver of fresh fig and prosciutto de Parma. Guests imbibed a hand-picked selection of Le Petit Saint-Jacques wines, craft beers and traditional French cider. Krai has also starred in a Facebook Live session hosted by TVâ€™s Food Network â€” which means you wonâ€™t have to wait till next Halloween to witness the art of carving.